Please visit ChellyWood.com for free printable sewing patterns and tutorials for dolls of many shapes and sizes. The image shown above was a project I started working on early this morning. You see, I’m going to have my students read biographies of world famous people when school starts on Monday (two days from now). And I was hoping to have them make a paper “puppet” like the one shown above, once they finish reading their assigned biographies. One of the world leaders whose life has inspired me is Kofi Annan, so I just happened to choose him for my example puppet. I was putting this puppet together at my kitchen table today, when my teenage daughter asked, “Who is Kofi Annan?” I started to explain to her about his role in the United Nations and how he won the Nobel Peace Prize, among other achievements. I responded, “I think so…” but I looked him up on Wikipedia to make sure. Holy MOSES! I was so shocked to learn that Kofi Annan died the same day that I designed this puppet pattern and modeled it in the shape of him… What are the chances? I don’t usually post any patterns or tutorials on Saturday, but I really admired Kofi Annan. So I decided that perhaps I would create this post to honor his memory. If there are any other educators out there, you might want to use the puppet pattern I’ve designed. It’s a generic-looking human form that can be modeled to represent practically anyone. 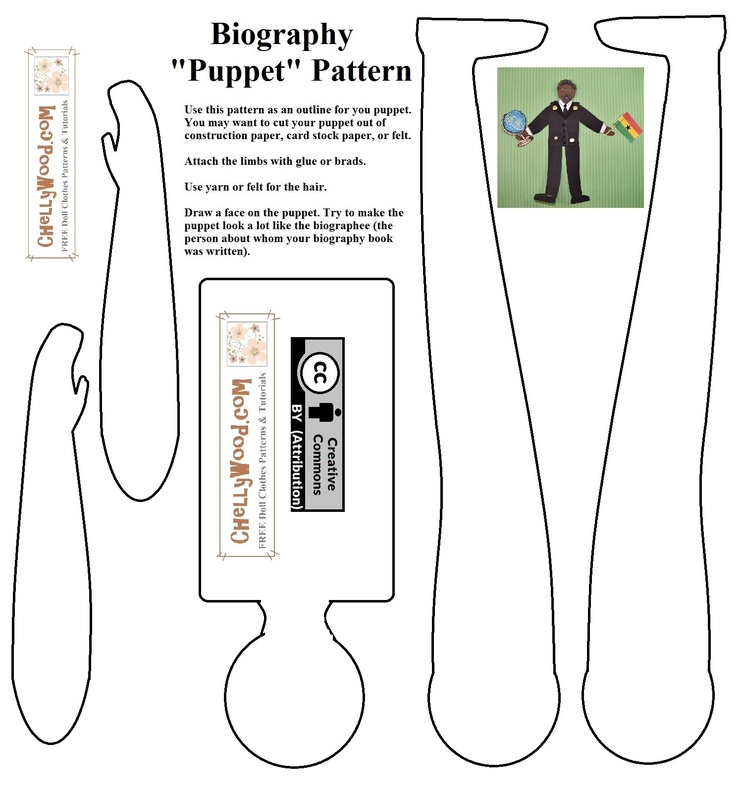 This puppet-making project is a fun way to have students create a visual image of a person after reading their biography. I usually require that my students include some significant feature in the puppet that lets us know what made that person unique. For example, my Kofi Annan puppet holds the flag of Ghana in one hand (he was a diplomat from Ghana) and a globe in the other (representing the United Nations, as Kofi Annan was the Secretary General of the UN). 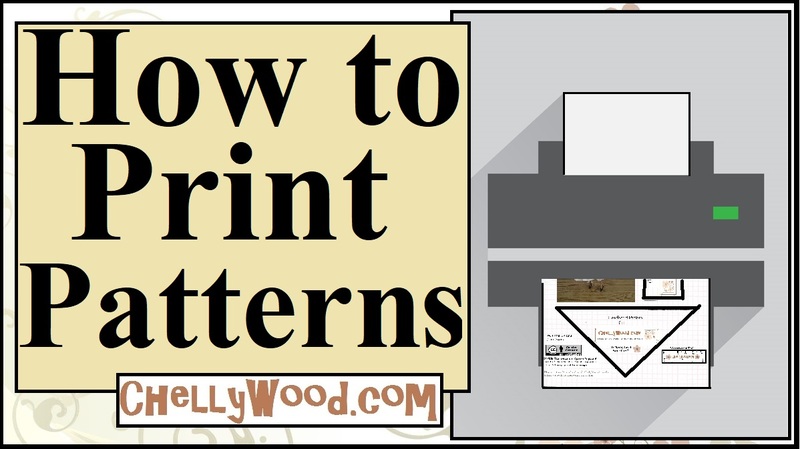 Please visit ChellyWood.com for free printable patterns and tutorials. You may notice that my Kofi Annan puppet is shorter than this pattern. In life, Kofi Annan was only 5 feet 9 inches tall according to IMDB. I’m going to have my students at school practice ratios by comparing my puppet’s height in millimeters to Kofi Annan’s height in centimeters. They will then have to build their own puppet to scale, with my Kofi Annan paper doll setting the standard. I love to create cross-curricular activities like this, to help support our school’s math department. Well, I hope there are some other school librarians and teachers out there who will enjoy my free puppet pattern. If you do decide to use my pattern, please share it on social media as well, to help spread the word about this website, which offers free printable doll clothes patterns and tutorials, for dolls of many shapes and sizes. The “Additional Information” section below can tell you more.